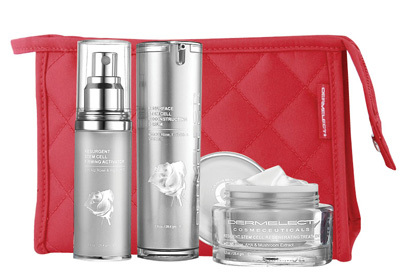 For the skin care fanatic on your gift list, Dermelect offers several holiday gift sets that address a wide range of skin care needs. Their Skin Regenerating System set is priced at $159.00 ($208.00 value), and contains 3 products that utilize stem cell science. I've had the pleasure of using 2 of these 3 products, and while they're at the higher end of skin care pricing, they are very effective and luxurious. 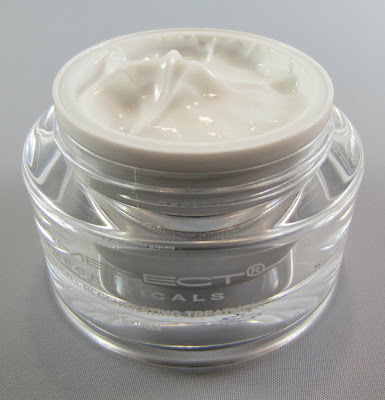 You can read my review on the Resurface Stem Cell Restructuring Serum here, and below I'll tell you about the moisturizer, Resilient Stem Cell Regenerating Treatment. The third product in this set is the Resurgent Stem Cell Firming Activator, which is the final step in the application of these products if you're following the entire regime. Personally, I use the 2 products I have along with other product brands and still have positive results, although I imagine optimum results would be achieved by using all of these products in order, together. 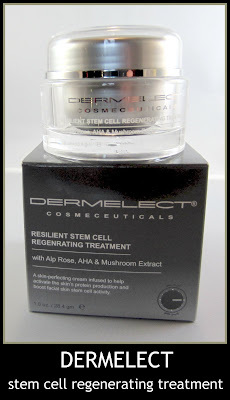 The Resilient Stem Cell Regenerating Treatment comes packaged in a box, and is priced individually at $79.00 for a 1.0 fl. oz. jar. This product has a very delicate rose scent, and a medium cream consistency. It absorbs quickly with no greasy residue, and a little product goes a long way. It leaves my skin feeling soft and supple, and when used with the serum underneath, my skin looks as good as it ever has. Below is a list of the ingredients, followed by a breakdown of each product in the Skin Regenerating System set. 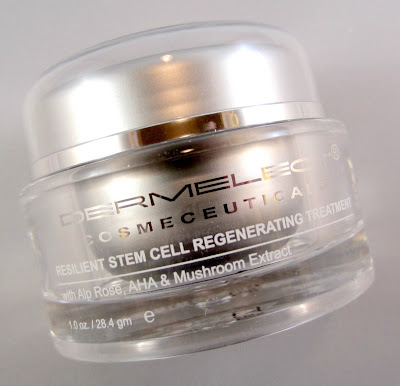 o Dermelect Resurface Stem Cell Reconstructing Serum protects and helps regenerate skin stem cell vitality while improving the skin barrier function and preventing and reducing the formation of wrinkles and fine lines. o Dermelect Resilient Stem Cell Regenerating Treatment boosts epidermal regeneration while reversing damage by free radial agents. The treatment leaves skin looking rested and supple. o Dermelect Resurgent Stem Cell Firming Activator acts as a finishing application to reinforce stem cell protection and resurgence of youthful looking skin tissue while further preventing free radical damage. Dermelect products are available at C.O. Bigelow, Henri Bendel NYC, www.dermelect.com, and many online etailers.